21 September 2016. Biomedical Advanced Research and Development Authority, or BARDA, signed agreements worth $67 million to develop new treatments and diagnostics for urgent drug-resistant infections. The collaborations between BARDA, in the U.S. Department of Health and Human Services, and The Medicines Company in Parsippany, New Jersey and Roche Group in Basel, Switzerland could be extended to include other treatments for drug-resistant bacteria, valued at more than $283 million. BARDA promotes development of countermeasures against public health emergencies, including bacteria resistant to current antibiotics and other infectious disease epidemics. 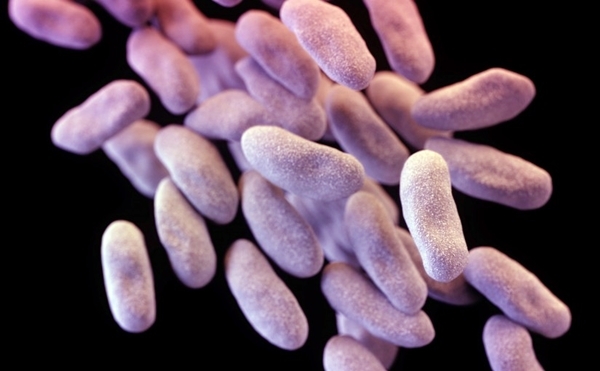 Antibiotic resistance continues to be difficult problem for clinicians and public health authorities, reaching a crisis stage in some parts of the world. Centers for Disease Control and Prevention says 2 million people in the U.S. each year contract infections from bacteria resistant to antibiotics, leading to at least 23,000 deaths. The $32 million agreement with The Medicines Company supports a late-stage clinical trial of the drug Carbavance to treat gram-negative infections in hospital-acquired and ventilator-associated bacterial pneumonia. Gram-negative bacteria are associated with conditions such as pneumonia, bloodstream infections, wound, and surgical site infections. “Gram” refers to a classification for bacteria where the microbes either retain (gram-positive) or shed (gram-negative) a test stain on their protective cell coatings. Carbavance is a combination of the antibiotics carbapenem and meropenem, with vaborbactam, a beta-lactamase inhibitor protein. Beta-lactamase inhibitors act as a catalyst, increasing the potency of other antibiotics used in combination. In an earlier BARDA contract, The Medicines Company evaluated Carbavance as a treatment for complicated urinary tract infections and infections caused by Enterobacteriaceae bacteria resistant to carbapenem, rated by CDC as one of the most urgent drug-resistant bacterial threats. The $35 million agreement with Roche covers development of new diagnostic tests for specific bacterial and viral infections. Roche is active in the field of infectious diseases both as a provider of diagnostics as well as pharmaceuticals. BARDA is using authority granted under the Pandemic and All Hazards Preparedness Act of 2006 to establish provisional cost-sharing agreements with both companies for portfolios of drugs to combat antibiotic-resistant bacteria. Under this authority, BARDA has options valued at $132 million with The Medicines Company for further development of new antibiotic-resistant bacterial drugs over 5 years. The agency has a similar arrangement with Roche, valued at $151.6 million over 5 years. This agreement supports development of a drug candidate that works with other drugs to combat infections from drug-resistant bacteria. The deal also has options for discovery of new drugs to treat antibiotic-resistant bacterial infections. BARDA says each company will provide a significant portion of the funding to bring the products to market, although the amounts of company funds were not disclosed. “These partnerships allow BARDA and its partners to respond rapidly to new discoveries, technical developments, and strategic priorities by quickly refocusing our portfolios,” says BARDA’s acting director Richard Hatchett in an agency statement.